Genetics and Beyond: The Puffin's Lair - Dont' panic! The Puffin's Lair - Dont' panic! Have you ever heard about fainting goats? There are hundreds of videos and jokes about them, but, despite how hillarious these goats can be, a genetic disorder is behind. Some domestic goats suffer from myotonia congenita, a genetic neuromuscular disease that affects the muscles use for movements - or skeletal muscles - and provokes the freezing of these muscles for around 10 seconds when startled. As you may imagine, this paralyzing effect causes the fainting. This desease does not only affect animals, in fact, it was described by Julius Thomsen in 1876: he suffered from the desease himself. As is caused by a gene called CLCN1, it is inheritable and the estimated proportion in the human population is 1 in 100.000, and can be quite serious. The disorder is because of a mutation in a part of a gene encoding for chloride channel. This means the muscle have an over-response to stimuli and the muscles do not relax properly after the voluntary contraction - called myotonia -. Therefore, the muscles are tense and the animal falls down. Fortunately, this genetic disease is not painful. 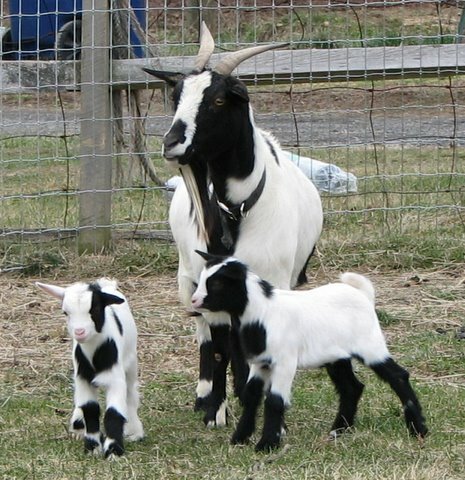 The fainting goats, known also as Tennessee goats, Stiff-leg or Wooden-leg goats, are a bit different fromt the rest of normal goats: they are smaller, with very prominent eyes and no angora production. And, obviously, will faint when panic. However, the severity of the disorder is variable and some goats learn to deal with it: younger goats are more likely to fall down whereas the older ones simply run away with their rigid and tense legs without fainting. 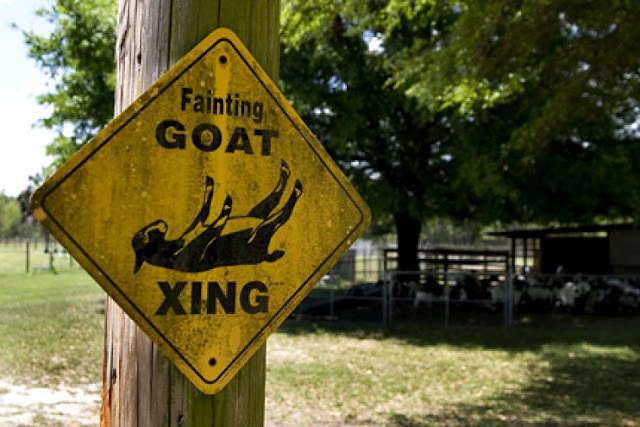 But how a fainting goat would survive in the wild? Any predator could easily reach them and natural selection would follow its, sometimes hard, course. Well, there are fainting goats due to breeding programs and human decision. 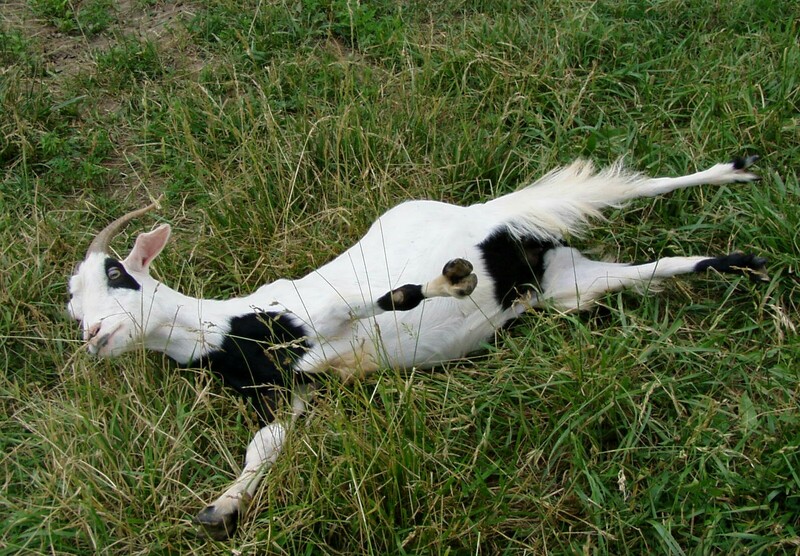 The first goats with myotonia congenita were recorded in the 1880s in Tennessee, and since then, whether for the meat, the company or just to not let die a species, fainting goats have arrived to nowadays.